Hello! 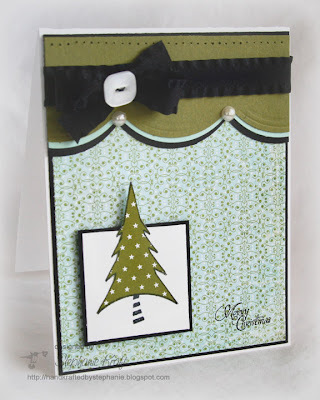 My card is for Verve's Blog PaRtY Challenge 1, a color challenge by Teresa and Mercy. I couldn't find any turquoise, so I used Aqua Mist, a lighter turquoise in my mind. My colors are Aqua Mist, Ripe Avocado, Black and White. I used the Mojo Monday #114 sketch for my layout. I always have the hardest time photographing dark ribbon. It's so much prettier IRL as it is a faux sueded ribbon from May Arts. 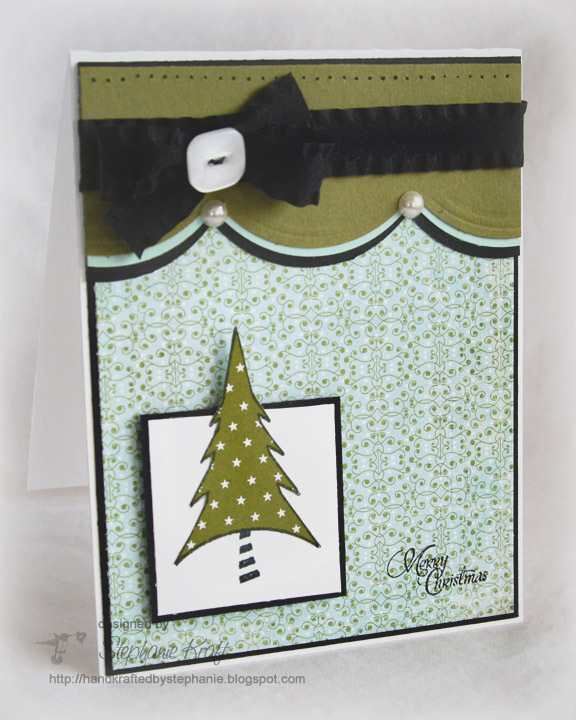 Accessories: Embossed Curve border punch (EK Success), Pearls (Basic Grey), Ribbon (May Arts), Button (Papertrey Ink), Black waxy flax, Paper piercer, Foam tape.